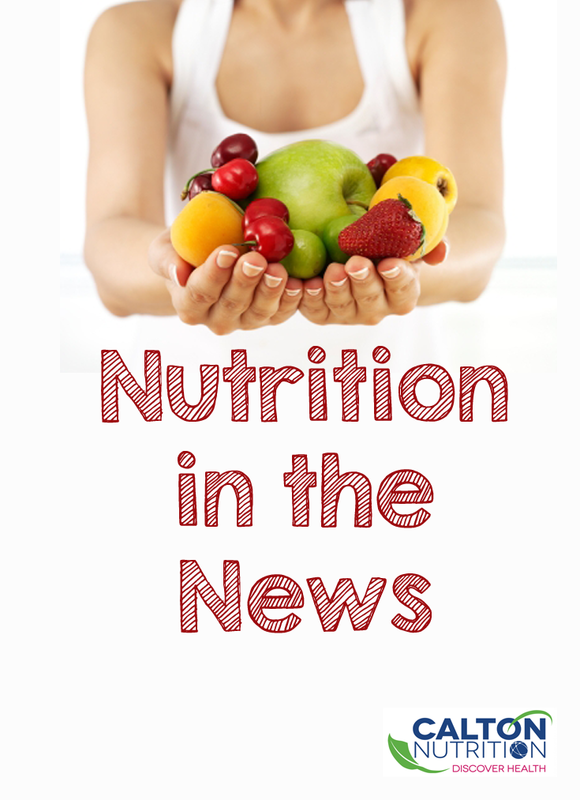 We've rounded up this week's top nutrition in the news headlines, to keep you informed! Does the company that you work for offer an on-site gym or exercise program? How about a discount for an off-site gym membership? If so, then your company in one of the growing number of companies in the United States that cares about their employees’ physical and mental health and is sharp enough to realize that a small investment now in a fitness class or a wellness program that improves their employees’ overall health will pay off for them in the long run, increasing future productivity while reducing the company’s insurance and medical expenses. In fact, according to this article when Aetna insurance implemented a wellness program they saw an amazing 28 percent reduction in employee stress levels after attending just one yoga session along with an extra 62 minutes of productivity per week. Don’t think that your company is large enough to sponsor a wellness program; the following article offers a number of programs that are easy for any size company to implement and in many cases won’t cost the company a penny. How about organizing an office team activity such as softball, bowling, or a movie night? It costs nothing to ask a local organic deli or restaurant to deliver good healthy lunches to the office. What about switching out those old vending machines that only carry chips, candy, and soda for machines that hold organic sprouted nuts and seeds, organic naturally sweetened chocolate bars, and organic pure juice or coconut water. It really doesn’t take much, but the benefits could be priceless. Read more here. How can food manufacturers continue to add synthetic flavors that have been deemed by the Department of Health and Human Services’ National Toxicology Program to induce cancer in humans and animals? They can because of a generally recognized as safe (GRAS) ruling that states that any substance that is intentionally added to food is a food additive that is subject to review and approval by the U. S. Food and Drug Administration (FDA) unless the substance is generally recognized as safe among qualified experts or unless the substance was used before 1958. 1958, are they kidding? Trans-fats to be banned in the U.S.
You’ve had a long run, but this is your final curtain call, take a bow, pack your bags and move it on out of here! That’s the orders from the U. S. Food and Drug Administration (FDA); trans fats must be removed from all manufactured foods within three years. However will trans fat completely disappear out of our lives for good? Maybe not, as we stated in Rich Food, Poor Food, many processed foods that claim zero grams of this deadly ingredient on the Nutrition Facts still contain trans fat. How? The FDA allows food manufacturers to take advantage of a labeling loophole and list zero trans fat on the Nutrition Facts if their food has less than half a gram of trans fat per serving. This semantics loophole allows food that contains those same trans-fatty acids that have been associated with heart disease, stroke, obesity, and diabetes to be marketed as possessing 0 percent trans fat. So whereas the FDA is trying to step forward and eliminate at least one poor food ingredient, will food manufacturers find away to sneak around the mandate? Read more here. Watching what you eat? Getting enough exercise? Still not losing weight? According to this article you may not be losing weight because you really don’t like the exercises that you’re doing. We know, you’re probably screaming ‘most people don’t actually like to exercise’. However it seems that if we routinely participate in an activity (such as running) that we that we mentally don’t like, our body could react in the same manner that it would if we were under stress, elevating our cortisol and insulin levels, generating inflammatory chemicals, and locking into survival mode causing us to store fat and preventing muscle development. Everyone has some activity that they enjoy doing, biking, dancing, swimming, or maybe canoeing. Not losing weight, change up your exercise regiment and see if that helps. Read more here.